Aurora Stud was established in the Deep South – the Kentucky of New Zealand – in 1974. The stud gets its name from the famous southern lights – the Aurora Australis. An aurora is a natural light display in the sky, caused by the collision of energetic charged particles with atoms in the high altitude atmosphere. It is only seen in the deep south. 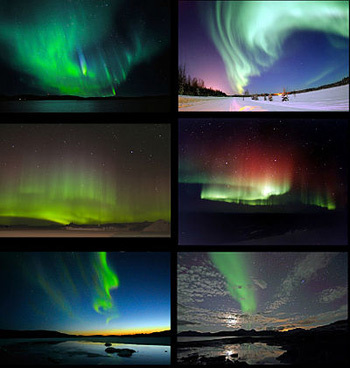 Its counterpart is the Aurora Borealis – the northern lights. Our foundation stallion was the Crabbet/Colonial bred Dellmount Phaeton, bought from Brian and Noelene Ross as a weanling. He left many partbreds who excelled in many fields, but only one purebred mare, Aurora Talaria. Talaria’s dam, Odette, was bought from Ernie and Barbara Wilson, then at Mimihau. Odette was in foal to Touch of Magic, and produced a grey filly, Aurora Corina, who we sold on. Odette then had a grey colt by Phaeton, Aurora El Cid, then Talaria. Talaria had a career under saddle, competing at horse trials and pony club competitions, and hunting, before we bought her back as an 18-year-old. Sadly, this lovely mare died without leaving any progeny. One of Phaeton’s best performing sons was Aurora Bullion, an anglo-arab who was an excellent showjumper until an injury forced his retirement at the age of 10. He also won the Station Hack challenge at Riverton, a one-mile race run over two days at the Easter meeting. He featured on Horsetalk and in Horse and Pony magazine as a model horse when required. He died only a few months short of his 31st birthday, in 2010. Phaeton was also used by coloured sport horse breeders Rainbow Stud, and several of his “Rainbow” progeny have proven themselves as jumpers. In the past several years we have also bred several thoroughbreds to race, and several appaloosas. Then, Dellmount Sudani arrived at Aurora from Brian Ross’s Dellmount Stud at the age of 27. His last two foals were bred at Aurora, with Aurora Sudaar sold on as a stud prospect, and Aurora Shirazzamatazz remaining. Feeling that the old bloodlines were still the best for conformation and performance, Lyn decided to follow her dream of breeding pure Crabbet arabians. Silver Omen arrived from Australia in May 2006, along with the mare Fenwick Regenta. Omen, a son of Somerled, came from New South Wales, and Regenta from the famous Fenwick Stud. She was the first pure Crabbet from Fenwick to be imported into New Zealand in many years. These two were followed by Silver Crescent in 2008.